By default, in Windows Explorer a drive letter is displayed after its name. In the folder settings there is an option to completely hide the drive letters, but no option to display a drive letter before its name. Let’s consider how to do it with a little registry tweak. 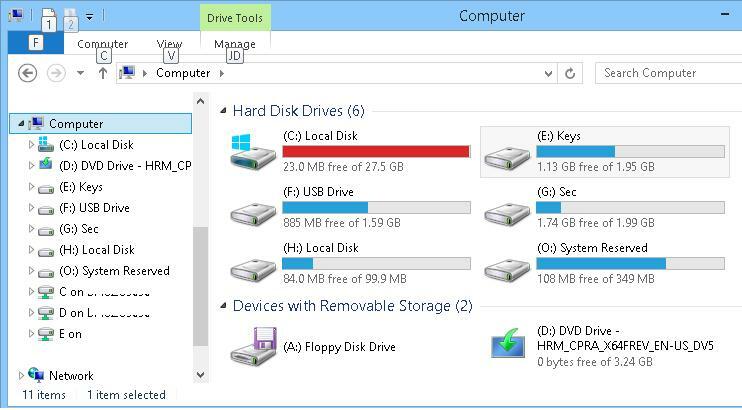 In Explorer, the disks are displayed in the following format: Local Disk (C:). The drive letter is shown in brackets after the drive label (drive name). If there are a lot of disks in the system, it happens that due to long labels a drive letter might not fit in Explorer Window or be hidden by the border of the directory tree. Now you only have to close your session and log in again. As we can see, the drive letters are shown first in Windows Explorer. This tweak works in all Windows versions from XP to Windows 10. Tip. If the tweak didn’t work, try to find ShowDriveLettersFirst key in HKEY_LOCAL_MACHINE\SOFTWARE\Microsoft\Windows\CurrentVersion\Explorer. It may override a user setting. 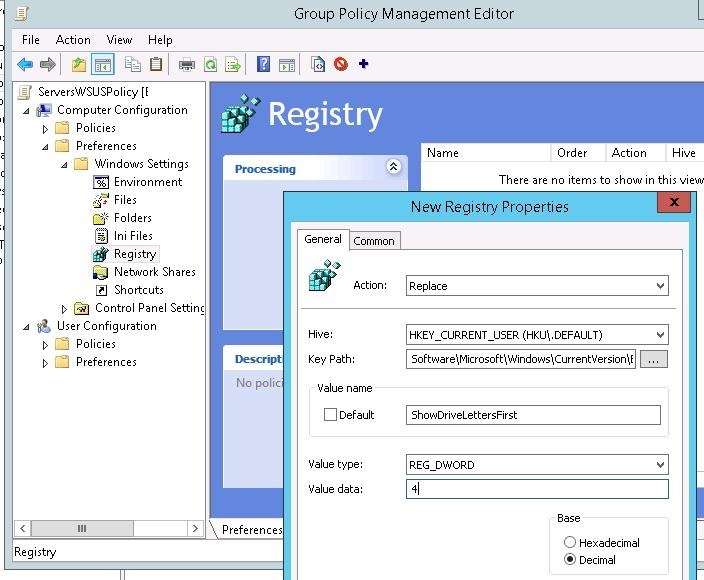 If you have to apply this setting to all PCs in the domain, it’s easier to do it using GPP (Group Policy Preferences). Save the policy and assign it to the necessary OU in Active Directory tree. Thanks for your introduce. It does help me to manage my disk. 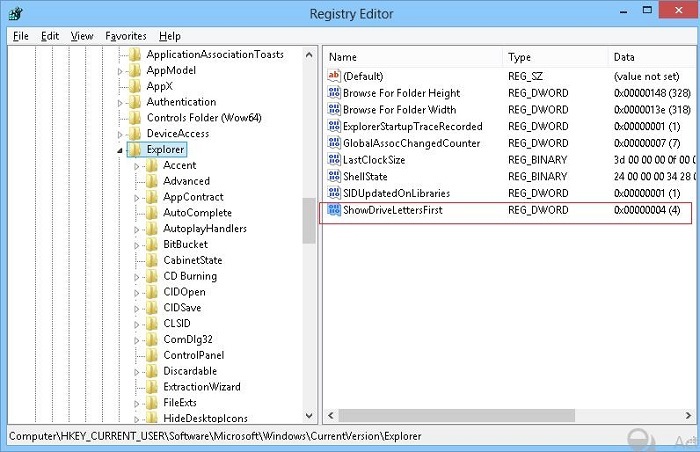 In my eyes, Registry Editor is complicate and often makes me confused. It lets me know much more knowledge about Registry Editor.